Spring Cleaning Your Computer! 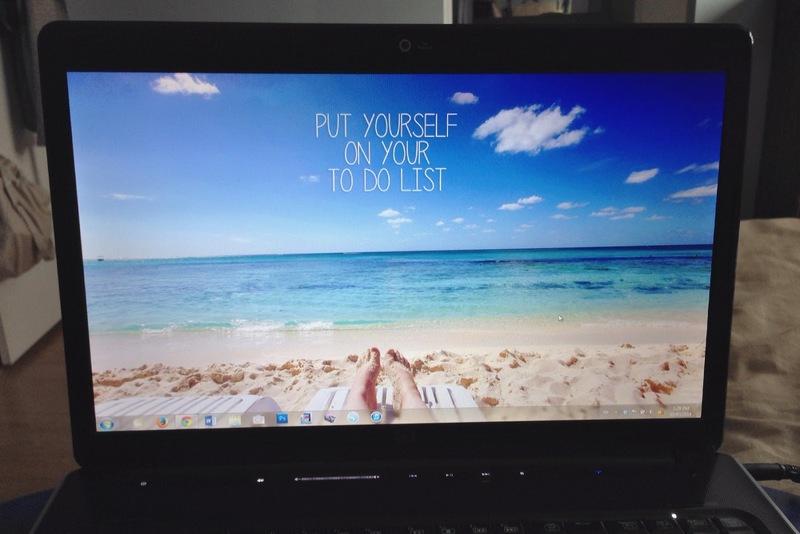 A 3-week "Clean Computer Calendar" – It Works For Bobbi! Spring Cleaning Your Computer! A 3-week "Clean Computer Calendar"
Published on March 16, 2015 March 23, 2017 by Bobbi-Jo G.
Spring time is almost upon us and the drive to do some spring cleaning often takes hold. We gear up to wash the windowsills, clean out the garage, or tackle the disastrous storage room! But have you ever considered the need to spring clean your computer? Think about this – it is something that we use daily, it gets cluttered, and can turn into an unmanageable collection of “stuff” that is impossible to sort out. This one I think I already had down pat – at least for my photos and videos. I like to organize my images/videos chronologically, so I have a folder for each year, then within that folder, I have folders for each month. I name the month folders with a number, then the month (eg. 01 January 2015, 02 February 2015 etc.) for they will show up in the correct order. Yes. I know – I’m THAT person 🙂 Then, within each month’s folder, I have the folders by date. Using this organization system, I have decided to now go back and label each image with, first the date but also a tag detailing the event or person. 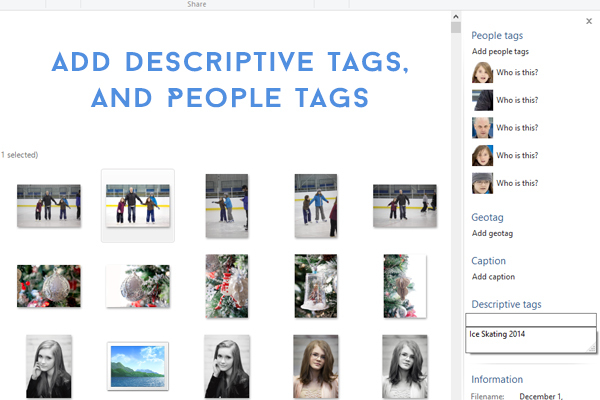 Did you know you can add tags to your photos? This makes searching our photos so much easier – trust me! 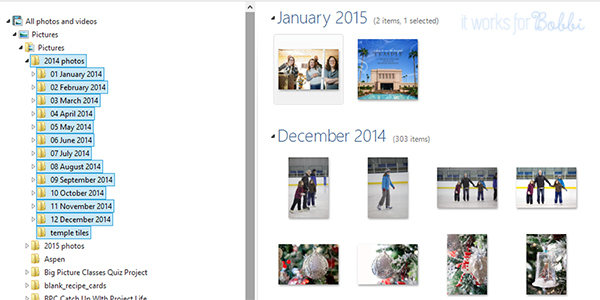 It’s easy to add tags using a PC and Windows Photo Gallery. You can click on the “tag” icon at the top of the screen and you will have a few different options open up to the right – you can add a descriptive tag, or people tags (naming who is in the photos), or even geotags! This is definitely a project, if you haven’t previously been adding in tags, but this system does allow you to tag many photos at once, so that helps. 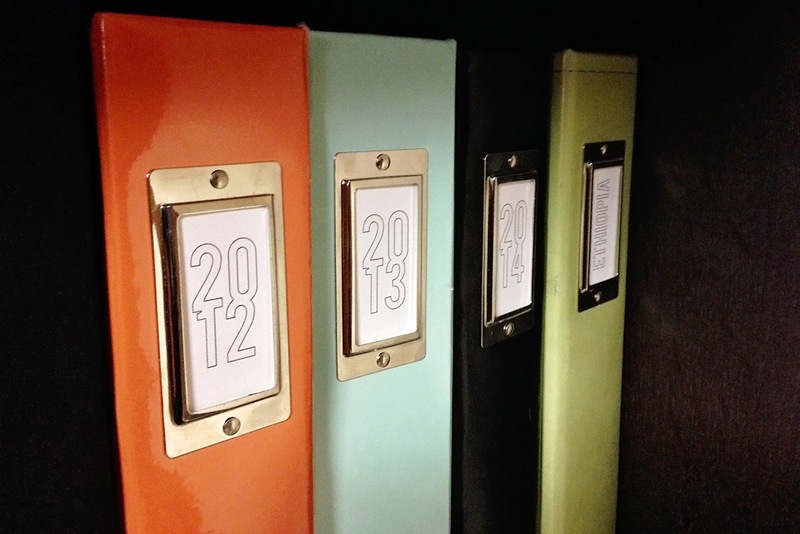 The key to getting organized is figuring out which method of organization works best for YOU and…STICKING WITH IT. Decide, starting today, that you’ll stick with one method of organizing and then do it. It might take time to get through the old stuff on your computer, but at least you’ll know that, going forward, it will already be done right. Here is where it kind of starts to get real for some people – deciding what is worth keeping, long-term. I admit, I might be what some would consider “ruthless” when it comes to purging photos/documents etc. I ask myself, “Will this be something I’ll care about in 5 years? 10 years? 30? Will I really need 6 different angles of Johnny blowing out his birthday candles from his 4th birthday? Maybe 1 or 2 would suffice. Get rid of (i.e. delete) stuff that you know you won’t need/use/look at ever again. This is easier with things like old documents you have saved etc. I really like the suggestion on the calendar to place anything you want to KEEP but don’t use very frequently in a separate folder labelled “Archive”. This helps take some of the guess work out of what to save. 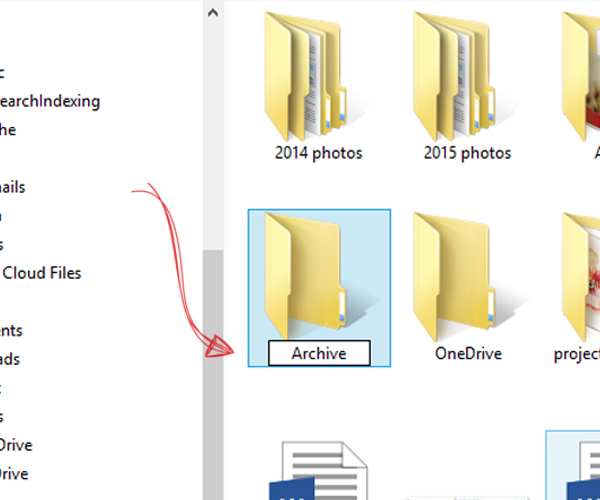 In the third week, you’ll be uploading these archived files to an online storage, as well as hard drive (or another physical storage) and getting them OFF your computer. Yes, you’ll get to do some major decluttering! Just follow along with the daily prompts in the calendar. Other ways I back up my things is, I save old years worth of photos onto discs. This has to change. Times change. Discs won’t be a viable option much longer. Which is why I have recently started another back up option – using the cloud. I have recently started using Dropbox to back up my photos. Particularly, the photos from my phone get saved to Dropbox instantly. This helps me to be able to clean off more space on my phone and take more photos! Seeing as I take more and more photos on my phone these days, this makes sense. There are a lot of online cloud storage options. You can look into what works best for you. Many are free, for a limited amount of storage space, then you often have the option of paying for more storage in future. I also do the old fashioned thing and print my photos to put into albums. As you are well aware, I am a Project Lifer and love the joy of holding my albums and flipping through the pages. One of my plans, though, is to photograph or scan every page and store a copy digitally. Believe me, if my house ever caught on fire, there is no way I could save all of my albums. I would need 10 men to help me haul 20 years worth of scrapbooks out of my house! It’s another project in the works. In the meantime, another option has appeared in the Project Life app! 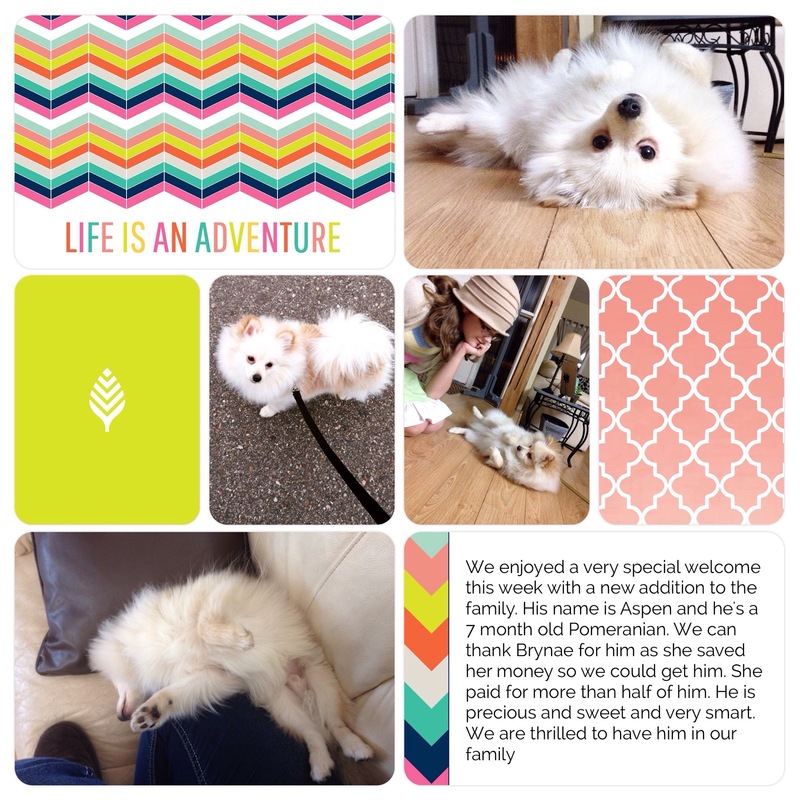 You can scrapbook your photos from your phone/device, store a digital copy in the cloud, and print the pages for enjoyment. It’s the perfect solution! I once read that you should have three back ups – in three different locations. This is the ULTIMATE in security. Think – one copy of your files etc. in your home, one copy somewhere outside the home (think – in your office, security box etc. ), and one copy online. If you do this – you can be well assured that your files will be safe. Also, if you can, have different types of back ups. Like I said, my photo “discs” may be unreadable in the future. I would hate to have saved all of our old photos, only to not be able to see them. Try an external hard drive, or even flash drives. The easiest, if you can afford some extra storage, is the online storage solutions. Look for a cloud storage site that offers security, reliability, and who back up their own servers so your stuff is safe. The key to all of this is, not to be overwhelmed. Just take it one day, one hour at a time and do what you can. You’ll love being able to find what you are looking for on your computer, and have the peace of mind knowing that it’s backed up. Your memories are precious – and so is your sanity! Protect BOTH by using this easy calendar to get your computers cleaned out, organized, and backed up. You can do it!